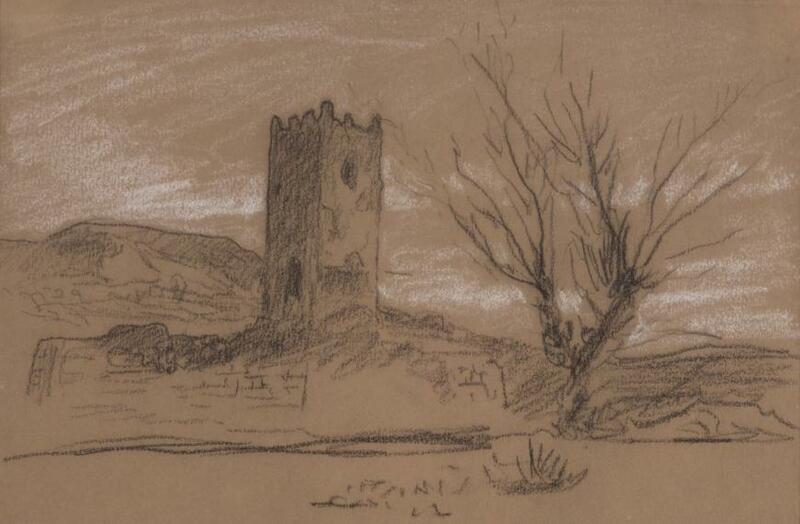 Tower in a Landscape is a manifestation of Elihu Vedder’s symbolist inclination. A painter, illustrator, and poet, Vedder spent much of his lifetime in Italy, having completed his artistic studies in the country by the latter half of the nineteenth century. Not only did he study the work of the Reniassance Masters, but he also drew inspiration from the contemporary Italian Macchiaiolli painters, as well as the living Italian landscape. Vedder was known for his renderings of landscapes both real and mythological. 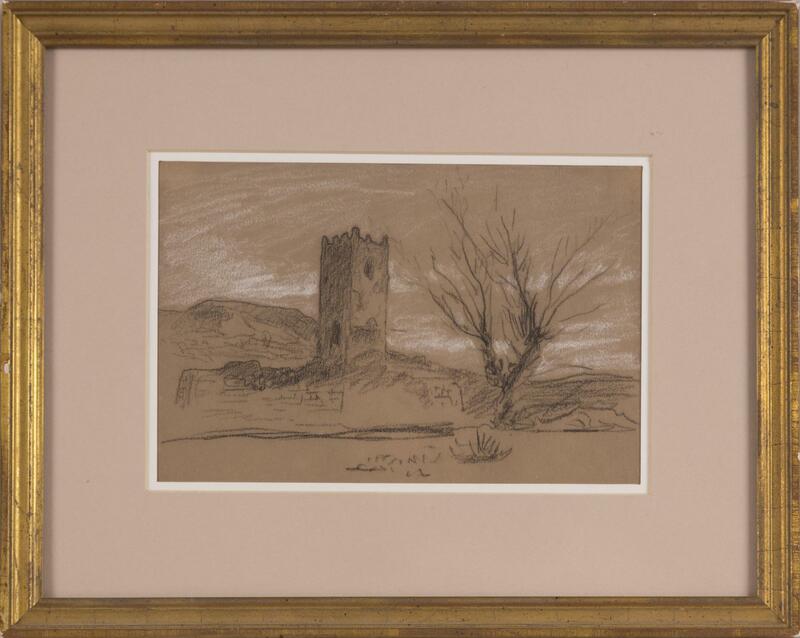 His mysterious, romantic scenes such as Tower in a Landscape showcase the influence that English and Irish mysticism had upon the artist, himself deriving inspiration from the Pre-Raphaelities in both aesthetic and theory.